For sometime, Chinese companies have been producing some impressive devices like the Oppo Find phones. These handsets couldn’t compete in the market due to pricing. A Chinese company, Oneplus, has finally overcome this hurdle and today announced its Oneplus One, a flagship for only $299. Oneplus has flagship specs, greater then that of Samsung Galaxy Note 3 and has a price range lower then that of Google Nexus 5. It’s a deadly combination! Lets talk abouts its specs. The Oneplus One comes with Qualcomm’s Snapdragon 801 clocked at 2.5 GHz, highest clock speed of this process found in any smartphone. To support this mammoth processor is 3 GB of RAM, only found in the Samsung Galaxy Note 3 which costs around $600 (unlocked). The OS its running on is Android 4.4.2 KitKat but not the Stock ROM by Google but CyanogenMod 11 Custom ROM. 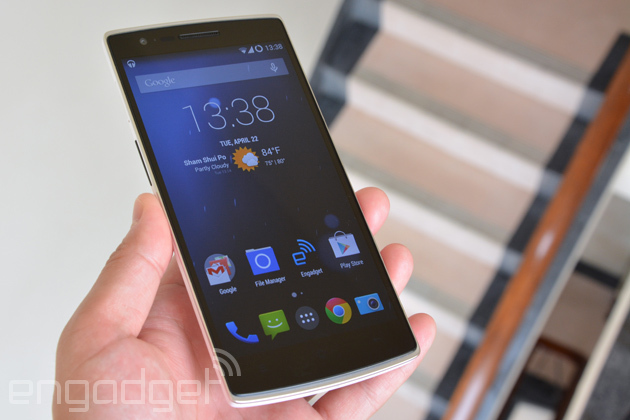 Oneplus One CEO stated that they were ready to work with other Custom ROM makers as well. This in an interesting aspect of this device compared to Stock Android of Nexus devices. The One is powered by a 3100 mAh battery and has all the other flagship features like MicroUSB, Bluetooth, NFC and LTE. The sleek design ensures that the phone is only 8.9 mm thick with corners as thin as 4.6 mm. 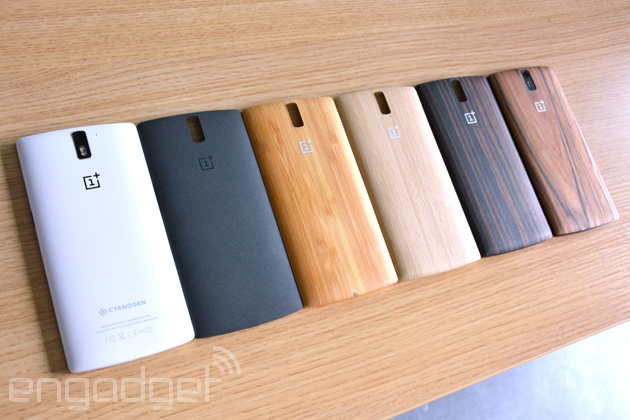 Oneplus One also has a variety of Back Covers available with textures. These include standard white and black and several shades of Brown including Wood.